This is an extremely simple key-switch solenoid prop that comes to you fully assembled and tested. 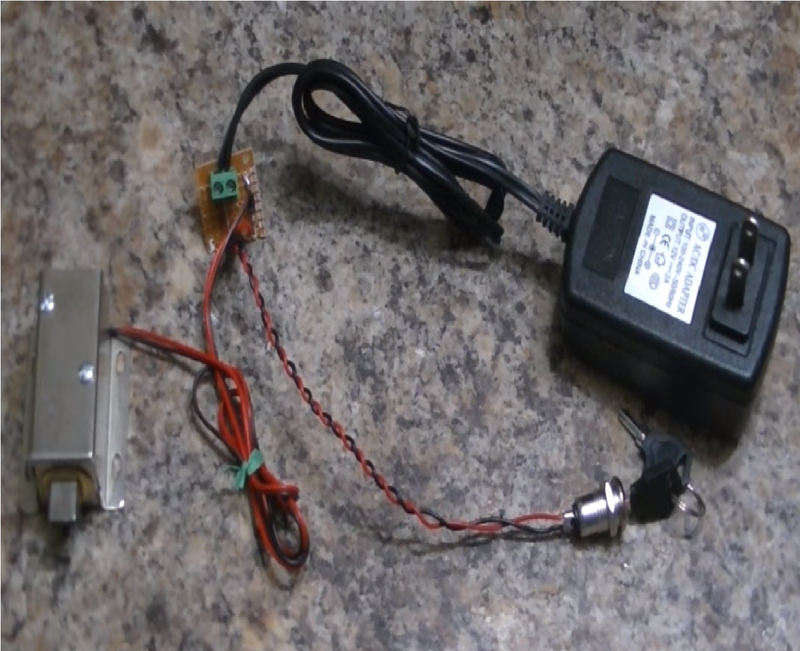 Simply insert the key into the key switch module and turn the key to operate a solenoid lock. The solenoid lock can be extended to be much further away from the key switch lock itself. The key module has a mounting nut, and two keys are included. Everything comes to you in full working order. All you need to do is mount it to your prop! Use the solenoid on doors, or hidden compartments! We design the electronics, and you make it your own! There is a tiny board that acts to interface the AC-DC adaptor, solenoid, and key-module together. 2x keys are included as well. If you have any questions at all, please do not hesitate to send us a message through our contact page. We will get back to you promptly. Thank you for taking an interest in our props!